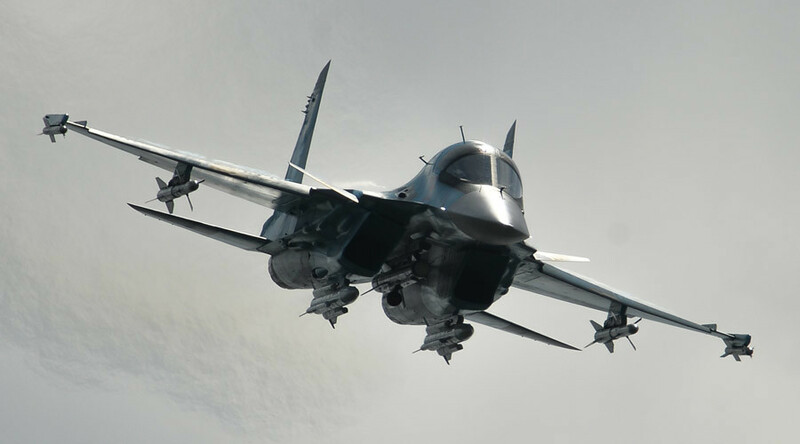 The Russian military has launched airstrikes against Islamic State militant targets in Syria. The move was approved after a request from President Bashar Assad to Vladimir Putin, who has also expressed concern about the number of Russian extremists in the country. An air safety draft to come into effect during bombing operations in Syria, drawn up by Russian Defense Ministry, has been forwarded to its US counterparts, the Russian Defense Ministry reports. Russian air-to-surface military operation in Syria began September 30 at the request from the Syrian government. The Syrian Army, backed by Russian airstrikes, has advanced significantly since then. Russia is bombing Islamic State (formerly ISIS/ISIL), not moderate opposition groups, Russian Deputy Foreign Minister Aleksey Meshkov said, commenting on the EU appeals to stop targeting the moderate opposition. “I have not seen the statement, but it has been for a long time clear to all that Russia is bombing terrorist organizations, ISIS – not moderate opposition,” he said. Due to a request from Ankara, the Russian Defense Ministry has postponed observation flights over Turkey planned in compliance with the Open Skies Treaty. The agreement, signed in March 1991, allows its parties to openly gather information on mutual military activity for stepping up transparency and security. European Union demands Russia halts Syria airstrikes against so-called ‘moderate’ anti-govt rebels. "The recent Russian military attacks that go beyond Daesh (Islamic State) and other UN-designated terrorist groups, as well as on the moderate opposition, are of deep concern and must cease immediately," the EU's 28 foreign ministers said in a statement, Israel National News reported. At a meeting in Luxembourg, the ministers came to the opinion that Russian involvement in the crisis only makes things worse, and instead one should look for a peaceful solution. US and Russian defense officials conducted a 90-minute video conference on Saturday to discuss the safety of flight operations over Syria, the Pentagon says. “The discussions were professional and focused narrowly on the implementation of specific safety procedures. Progress was made during the talks, and the US agreed to another discussion with Russia in the near future,” the Pentagon said in a statement. Russian warplanes in Syria have bombed 29 terrorist field camps and other facilities of the militant group Islamic State in the past 24 hours, the Russian Defense Ministry reported. Russian air forces carried out 67 sorties, striking 60 separate targets in northern Syria in the past 24 hours, the Defense Ministry said on Friday. Two senior Islamic State field commanders are reportedly among the militants killed in the strikes. A new round of US-Russia talks on air safety during their respective military operations in Syria is expected this weekend, the Pentagon said, confirming that it had received a response from the Russian Defense Ministry. So far, the goal of the talks has been narrowed down to avoiding accidental collisions when conducting military operations against Islamic State. Russia has asked the UK to help its military establish contact with the Free Syrian Army (FSA) in order to improve coordination in fighting Islamist State (IS, formerly ISIS/ISIL) in Syria, RIA Novosti quoted the Russian Embassy in London as saying. “[Ambassador of Russia to the United Kingdom] Alexander Yakovenko announced that the Russian side would be grateful to British partners for assistance in establishing contacts with the Free Syrian Army (FSA) in what concerns its efforts, as well as those of the Syrian Armed Forces, in the fight against IS and FSA’s possible participation in the political process,” the spokesperson said. The United States has not yet received an answer from Russia to their proposals concerning a number of practical steps aimed at avoiding potential conflicts between the two sides in Syria, the White House press-secretary, Josh Ernest, told journalists. He added that the US would only engage in military cooperation with Russia if it stopped supporting Assad and constructively contributed to the US-led coalition efforts.